It was a loss many Inner Southeast Portland neighbors discovered – the sign on the door announced the closing of "Sam's Attic Eclectic Thrift" store, on S.E. 17th Avenue at Tenino Street, just south of the former Penguin Pub. "We closed at the end of October, when the family who owns this property – who had given us a very favorable lease for the last seven years – needed to sell the building," said the shop's co-manager, Patty Pullen, while walking through the shuttered store. 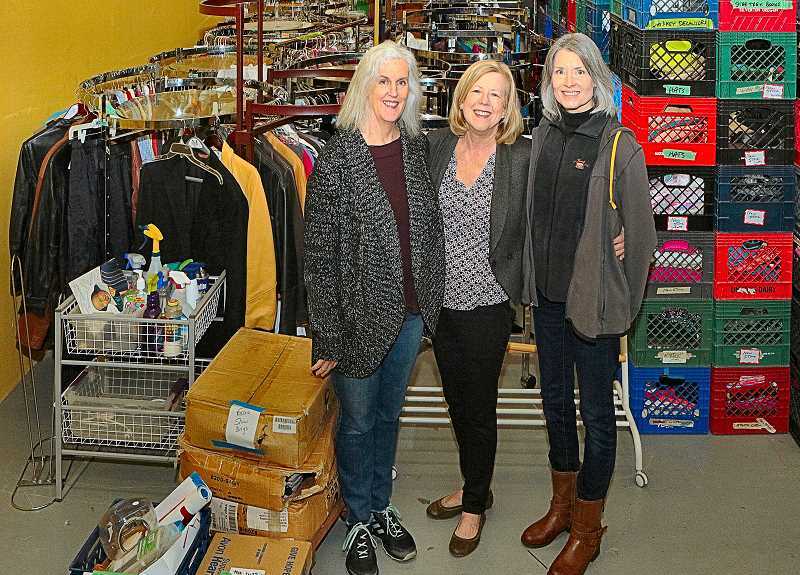 She recalled that what became "Sam's Attic" started as a series of weekend parking-lot sales, held at a Lake Oswego church in 2003 to help support Good Samaritan Ministries; specifically to assist their schools in Uganda, which educates about 1,600 kids. "We had to move our merchandise amongst ten different warehouses for our first nine years, until we moved here to Sellwood in 2011; so, having this wonderful building has been very good for us," said Pullen. Looking around at the high stacks of merchandise, clothing racks, and shelving, Pullen told THE BEE, "We were supposed to be out by the end of November, but we didn't have a building or storage space; the new property owners kindly granted us extensions until the end of January." According to Multnomah County property records, the store's property – and the adjoining lot to the north, once home to the famous Penguin Pub – were sold to CVS Caremark Corporation in Woonsocket, RI, the main office of CVS Pharmacy Inc., in December of 2018. The company did not respond to inquiries about a pharmacy being built at the site, but city records show that to be the plan. "We have located a place in Beaverton for 'Sam's Attic'; but we are hoping to keep our foot in Sellwood, with a location here, as well," Pullen remarked.